The Beginning of the E.N.D. A-1 Pictures (Persona 3 The Movie: #2 Midsummer Knight’s Dream, Sword Art Online The Movie: Ordinal Scale) and director Tatsuma Minamikawa (Attack on Titan) bring us the penultimate film to the Fairy Tail final Tartaros Arc and how the end started. High in the froze wastes of Fiore sits a shrine to the dead dragon many feet below the Capital City. It holds a unique staff, the ‘Dragon Cry’ and somebody wants it. Zash Caine a practitioner of the black magic’s and he has been sent by King Animus of the island Stella to retrieve it to halt a potential devastating disaster on the island. He is a ruthless wizard that likes to see comrades turn on each other for his pleasure. 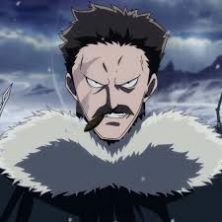 He is successful in acquiring the staff and now the royal family of Fiore task the Fairy Tail Guild to retrieve the Dragon Cry and get its rightful resting place as it has the to destroy a continent and it cannot be left in the hands of a necromancer. Natsu, Lucy, Grey, Erza, Happy and Carla reach the island of Stella, an beautiful island covered with Stellainium, a crystal that absorbs star light and the more it absorbs the more lustrous it becomes, Stella’s main export. 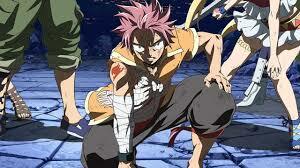 But Fairy Tail are here for a more serious reason and now they must regain the Dragon Cry staff. As usual Natsu and his straight forward approach gets them all in hot, hot, hot water and they must fight their way back to Fiore. Watch and enjoy this great addition to the Fairy Tail Lore. 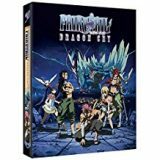 With deep hidden secrets to be revealed this is Natsu’s time to shine, as the Fairy Tail family come together to save their land. 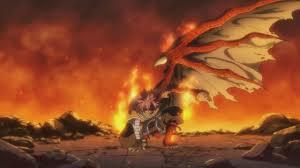 Dragon Cry is a must for any Fairy Tail fan and is a great yarn if you are new to this anime.